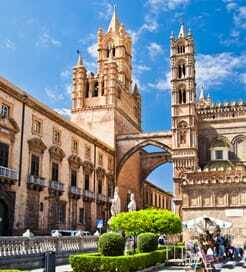 There are 2 ferry routes operating between Sicily and France offering you combined total of 3 sailings per week. Corsica Sardinia Ferries operates 2 routes, Trapani to Toulon runs 2 times per week & Trapani to Nice about 1 time weekly. As the frequency and duration of crossings on some routes varies we would advise that you do a live search for crossings from Sicily to France to get the most up to date information. 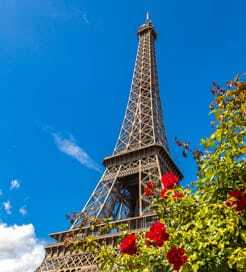 For the past 20 years, France has featured near the top of the list of the world’s most popular tourist destinations and is one of the most geographically diverse countries in Europe. By land area, France is the largest country in Western Europe and one of only three countries to have both Atlantic and Mediterranean coastlines. France isn’t just about Paris’ iconic Eiffel Tower or the famous smile of Mona Lisa; even the gorgeous villages in the countryside, splendid lavender fields and vineyards are just a tip of the iceberg when it comes to visiting the numerous sights and attractions in France. This is a country that always has something new to offer. There are several ways of getting to France and by ferry is one of the simplest and most popular options. Most of Europe’s biggest and best ferry companies connect France with numerous countries and islands with regular crossings available from the UK and Ireland to the north and islands in the Mediterranean and North Africa to the south of the country.